Posted by Julia Brauchle on 9:45 AM on December 4, 2017 . 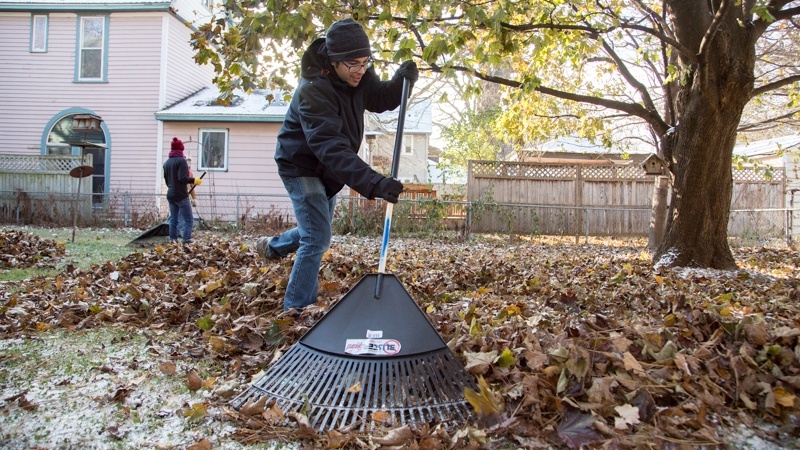 The weekend before Thanksgiving, thousands of families nationwide participated in Family Volunteer Day, completing volunteer projects in their communities. Family Volunteer Day is presented each year by The Walt Disney Company and supported by GenerationOn, the youth division of Points of Light. Posted by Guest Blogger on 11:43 AM on October 27, 2017 . 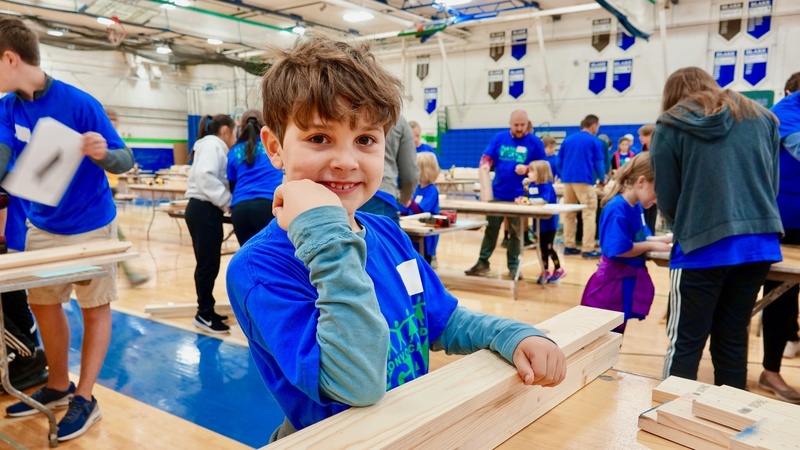 What do you get when you put 350 students in a gym with some wood and drills? Sixty-eight completed storage boxes, lots of smiles, and a slight ringing of the ears. But that’s exactly what Twin Cities Habitat for Humanity and Blake School teamed up to do in early October as part of Blake’s Legacy Day. Posted by Julia Brauchle on 10:39 AM on June 27, 2017 . State Farm is a consistent sponsor of Habitat for Humanity’s youth programs, regularly supporting Campus Chapters and engaging youth in disaster rebuilding and recovery efforts. 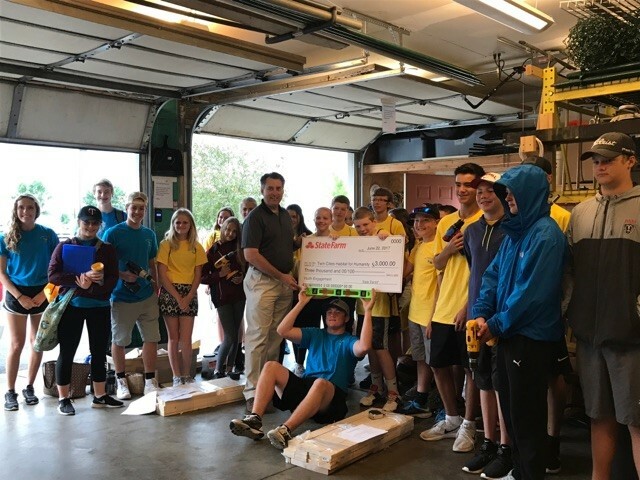 This year, Twin Cities Habitat for Humanity (TCHFH) was awarded a $2,000 matching grant and a $1,000 capacity building grant to expand our youth programs. 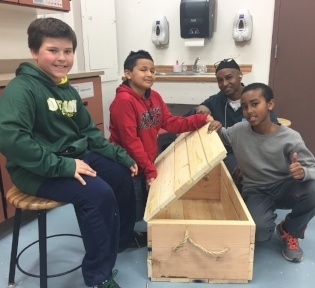 This enabled TCHFH to engage over 400 youth in Hands-On Building workshops and exceeded the $2,000 fundraising goal by raising $2,830! Posted by Guest Blogger on 8:57 AM on April 21, 2017 . 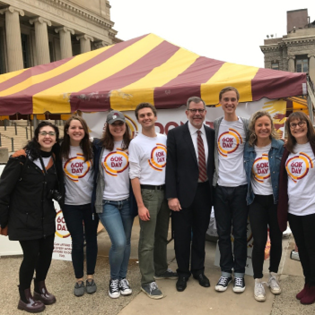 Amid coffee, pizza, a Velcro wall, live music, and giveaways from local businesses, hundreds of members of the University of Minnesota community came together on April 13th to celebrate 60K Day, a day dedicated to raising funds and awareness for Twin Cities Habitat for Humanity. Posted by Guest Blogger on 9:33 AM on March 16, 2017 . 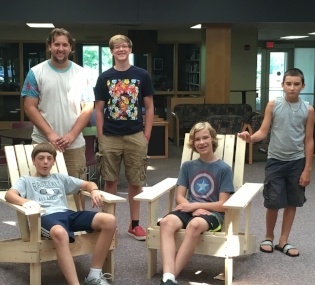 Last September, Patrick Glynn, Principal of Grainwood Elementary in Prior Lake reached out to Twin Cities Habitat for Humanity to learn about volunteer opportunities. His students were learning about and choosing service projects for the year and had noticed that there was a Habitat home being built a block from the school. Grainwood Elementary wanted to do something to welcome the soon-to-be homeowners to their home and new neighborhood. Posted by Guest Blogger on 3:09 PM on September 23, 2016 . School is back in session and that means Habitat for Humanity Campus Chapters are reconvening. Campus Chapters are student-run clubs that support a Habitat affiliate through volunteering, fundraising, education and advocacy. They help an affiliate reach a greater audience by spreading our mission through a college campus and student body. Twin Cities Habitat is lucky enough to have three established Campus Chapters: The University of Minnesota, Hamline University and Macalester College. Each has an executive board of students that plans builds, hosts fundraising events and advocates for affordable housing on campus. What do the chapters have planned for this year? A LOT! Posted by Guest Blogger on 11:00 AM on August 30, 2016 . Gustavus Adolphus Church in St. Paul has been partnering with Twin Cities Habitat for Humanity since 1997. They have built on numerous houses and supported each build financially. Many of the congregation’s volunteers come back year after year and take time off work to be part of the church’s build week. 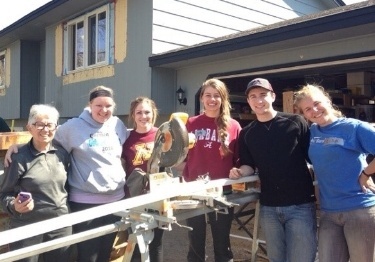 This year, Gustavus wanted to involve a new generation in their partnership with Twin Cities Habitat. Posted by Guest Blogger on 3:00 PM on July 19, 2016 . 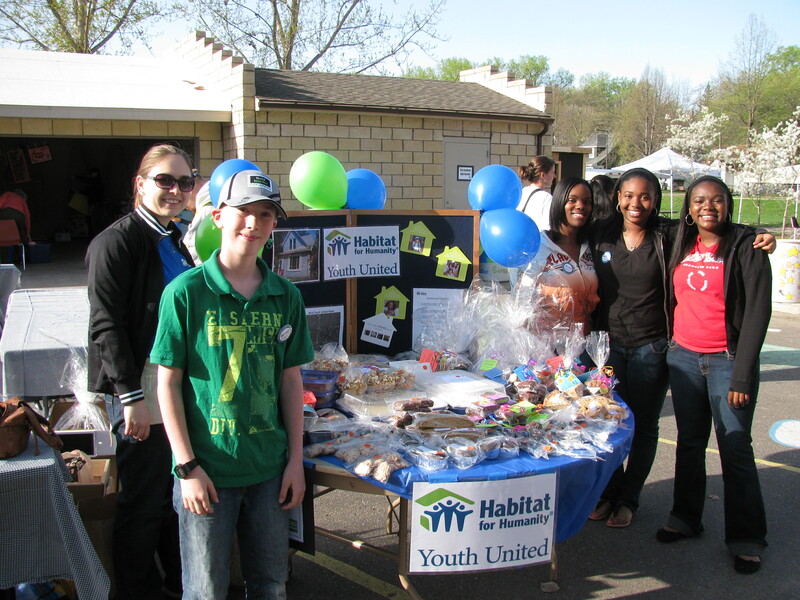 For the past several years, Twin Cities youth that were interested in getting involved with Habitat joined Youth United, a Habitat for Humanity International developed program focused on involving youth in their community and TC Habitat while fostering teamwork and developing youth leaders. Due to increasing demand for resources to engage youth in new and innovative ways, HFHI recently suspended the Youth United program to explore how Habitat can better provide for this need. Here at TCHFH, we recognize the impact that younger volunteers and advocates have on our mission, so the Youth United adult leadership team immediately started brainstorming new ways to engage local youth in our mission. What did we come up with? Habitat Youth Leaders, an exciting new leadership opportunity for altruistic youth interested in housing problems and solutions in the Twin Cities! Posted by Guest Blogger on 1:00 PM on June 30, 2016 . The muddiest day of the year is back! 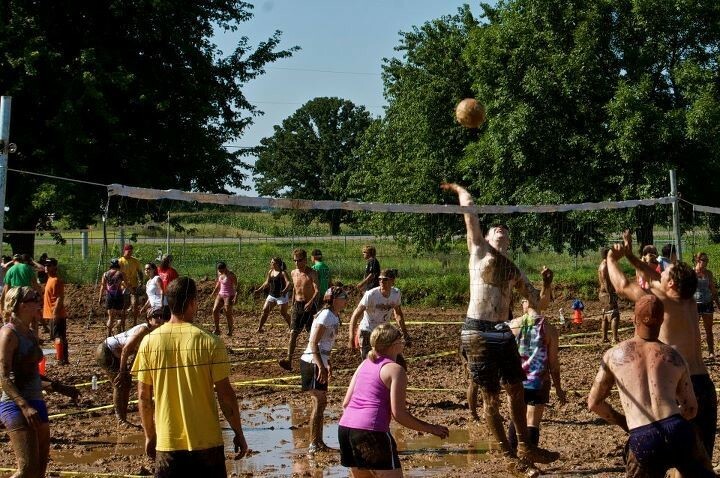 Join the University of Minnesota Habitat for Humanity Campus Chapter on Sunday, August 14 for Muddy Sunday, Minnesota’s best mud volleyball tournament. In an effort to fundraise and advocate for the organization, the U of M’s campus chapter puts on this yearly tournament to reach out beyond the student population and deeper into the Twin Cities community. Posted by Sarah Harris on 11:30 AM on June 17, 2016 . It has taken nearly ten years of hard work and determination for the Millington Family, but they finally saw their dream come to life in early June with the opening of Madison’s Place. 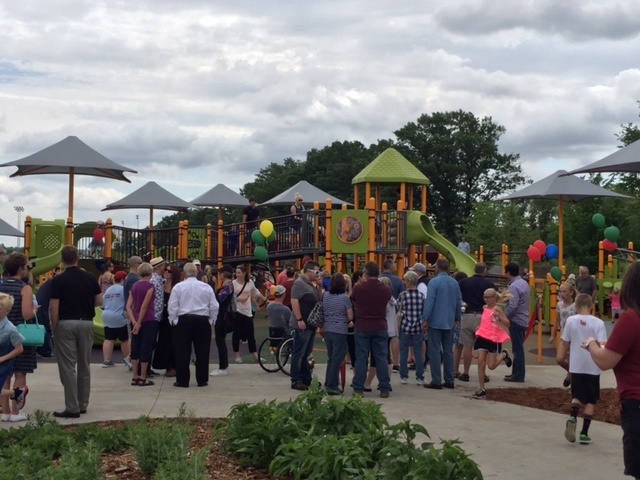 Madison’s Place is the first all-inclusive playground in the East Metro; a playground where children of all ages and all abilities are able to play together.